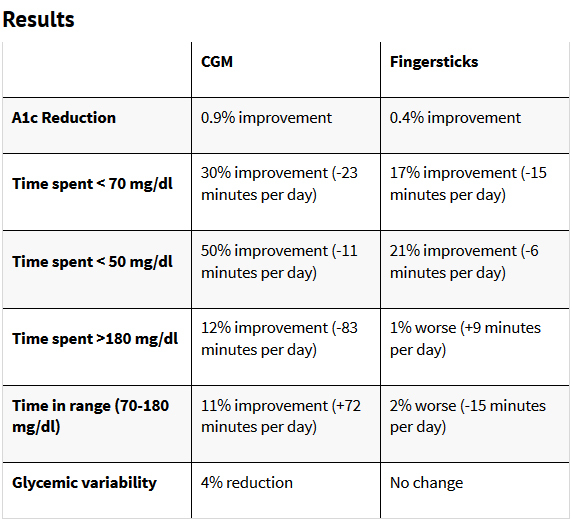 CGM Benefits Injection Users, according to the results from Dexcom’s DIaMonD Study, presented at the ADA Scientific Sessions in June, 2016 and reported by www.diaTribe.org, 6/28/2016. According to Dr. Howard Wolpert of the Joslin Diabetes Center, healthcare providers should consider recommending CGM to ALL patients with Type 1 diabetes who have not attained their glucose goals, not just those on insulin pumps. Currently only about 7% of MDI users with Type 1 use CGM. DIaMonD adds to the evidence that CGM improves time-in-range, reduces highs and lows, and improves A1c. This does not come as a surprise since glucose value and trend can be observed every five minutes and alarms sound for lows and highs, allowing people to recognize patterns, tighten the feedback loop, and take action to improve. I’ve always said that if I were forced to choose between using a pump or using CGM, hands down, I’d choose my CGM. Even though it is not perfect and you have to make sure not to overreact and overcorrect with such instantaneous data, it gives me trends and patters as well as annoying but necessary alerts. By the way, DIaMonD stands for Daily Injections and continuous glucose Monitoring in Diabetes. Read more: Does CGM Benefit Injection Users? Yes! Men Who Sleep Too Much OR Too Little May Have Impaired Insulin Sensitivity … BUT NOT WOMEN, according to a study published on June 29, 2016 in the Journal of Clinical Endocrinology & Metabolism, and reported in EndocrinologyAdvisor.com. Compared with men who slept about 7 hours a night, the men who slept the most or the least were more likely to have impaired insulin sensitivity and beta-cell function, putting them at increased risk for diabetes. However, the researchers found that compared with women who slept an average amount, the women who slept the most or least were more responsive to insulin and also had enhanced beta-cell function. These findings suggest sleep problems may not increase women’s risk for diabetes, the scientists said. Human Gut Microbiome May Help Identify New Ways of Preventing and Treating Diabetes, presented by Dr. Robert Ratner (he used to be my endo in the DC area! Great guy! ), chief scientific and medical officer of the American Diabetes Association, at the 25th Annual Scientific & Clinical Congress of the American Association of Clnical Endocrinologists (AACE). Dr Ratner noted that the gut plays an important role in metabolic function. He said specific bacteria in the gastrointestinal tract appear to be related to immune function in type 1 diabetes and to energy metabolism and obesity in type 2 diabetes. Nevertheless, he cautioned that this is only at the stage where the science is “associative”. Part of the challenge lies in the gut microbiome’s dynamic composition, which is constantly changing in response to a person’s diet and environment, such as hygiene and medication use, Dr. Ratner explained. Can intensive blood glucose control prevent kidne y disease in type 1 diabetes? as posed in a study conducted by the NIH in 2011 and 2013, investigating whether intensive diabetes therapy reduced the risk of developing kidney disease and other diabetic complications. Results showed that INT (intensive diabetes therapy) reduced the risk of developing micro-albuminuria (early kidney disease) within 6.5 years by 39% and reduced the risk of developing macro-albuminuria (more advanced kidney disease) in that time frame by 54%. In the following 8 years, INT reduced the risk of developing micro-albuminuria by 59% and reduced the risk of macro-albuminuria by 84%. 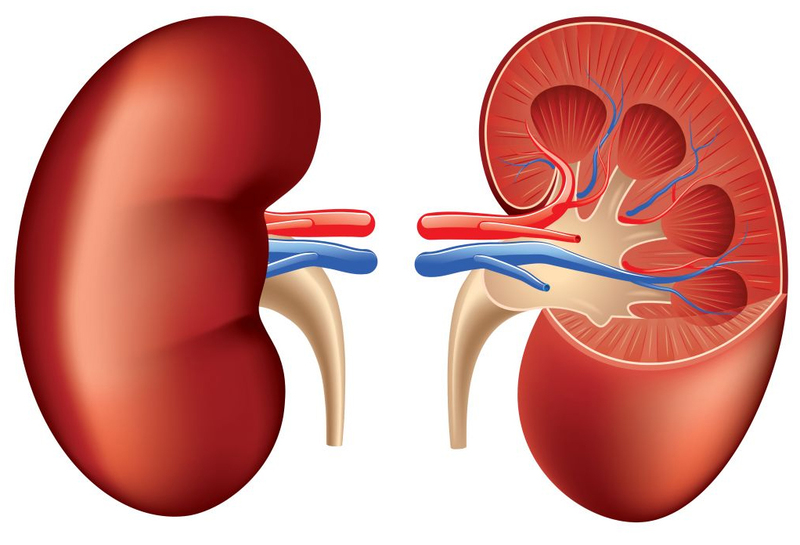 Patients who received INT were 50% less likely to develop impairments in the kidney’s ability to filter the blood (the glomerular filtration rate). INT was also shown to reduce the long term risk of high blood pressure by 20%. The Gut Microbe is to me anyway, one of the most fascinating leads on the road to understanding type 1. Interestingly Gut Microbes are being investigated as a trigger for RA. I have always said whatever trips the immune system to attack our bodies is likely something common, routine, or ‘normal’ for other people. It has always been my theory and who knows, Gut Microbes might be the key? 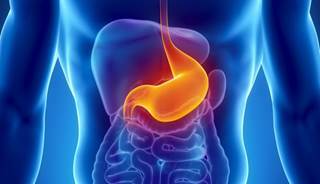 The more I read, the more I am convinced that we’ll find the answers in the gut, like they found that ulcers were caused by bacteria, NOT spicy foods! I wish more mainstream MDs would stick their heads out of their comfort zone and research this a lot more.